Takao Takes Tengen Title From Iyama: The second game of the 40th Tengen title match was held at the Keio Plaza Hotel Sapporo in Sapporo City, Hokkaido, on November 11. Playing white, Takao Shinji 9P (right) beat Iyama Yuta Tengen (left) by resignation after 164 moves. The game was the reverse of the first game: this time Takao held the initiative throughout. Iyama played unreasonably in an attempt to catch up and had to resign when he lost two groups. The third game was played at the Kameyama-Tei Hotel in Hita City, Oita Prefecture, on November 25. The opening was peaceful, but the game soon turned into a fierce fight between opposing groups. In the end, Iyama, playing white, brought down a large black group, forcing Takao to resign after 146 moves. With a 2-1 lead, Iyama’s chances of winning the Tengen title for the fourth year in a row looked very good. The fourth game was played at the Arima Grand Hotel in Kobe City on December 11. It featured three spectacular trades; Takao (white) seized the lead through his clever use of thickness. At the end, Iyama, realizing that he couldn’t give the komi, launched a do-or-die attack. Takao survived it safely, so Iyama resigned after move 288. The final game was held at the Hotel Clement Tokushima in Tokushima City on December 19. This was just three days after Iyama had lost the Oza title to Murakawa Daisuke. Takao drew white in the nigiri. Iyama’s fatigue perhaps showed in the fact that he played very fast. Early in the middle game,Takao made a trade of territory for central thickness and then skillfully erased the centre. From around move 64, Takao seized the initiative and held on to it throughout. In most games, the lead fluctuates, but Iyama was never ahead. Takao did give him a chance to create complications, but Iyama failed to take it. He resigned after move 212. 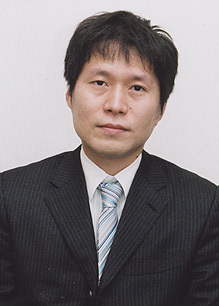 Some observers commented that the game was a masterly win for Takao. He now has two titles (he also holds the Judan) and Iyama is reduced to four. First prize is 14 million yen, ranking the Tengen fifth among the top seven titles. Konishi To Challenge For Women’s Kisei: In the play-off to decide the challenger for the 18th Women’s Kisei title, Konishi Kazuko 8P (B) defeated Aoba Kaori 4P by resignation. The game was played on December 8. 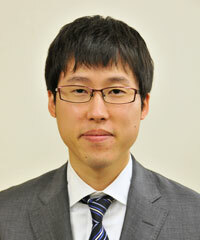 Konishi was born on October 28, 1972. She took second place in the 19th Women’s Kakusei title (1997), the 7th and 8th Women’s Strongest Player titles (2005 and 2006). as you need to win about two-thirds of your games to achieve it, and only two male players made it this year. Fujisawa is only the third female player ever to reach this landmark. Her record was 40 wins to 14 losses; Xie Yimin scored 40-16 in 2007, and the record is held by Kobayashi Izumi with 41-18 in 2001. Cho U Eliminated From Chunlan Cup: The quarterfinals of the 10th Chunlan Cup were held on Christmas Day. 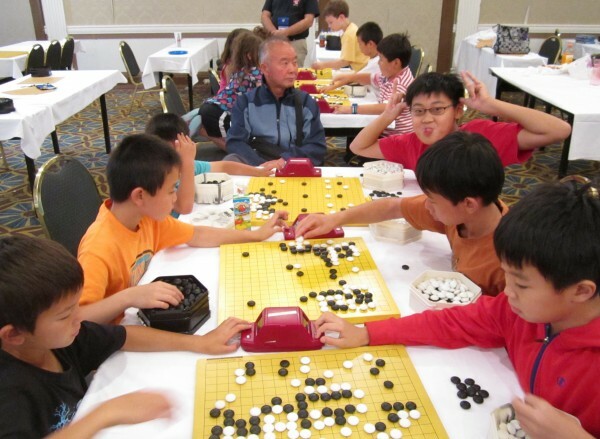 Gu Li 9P (China) defeated Japan’s sole remaining representative, Cho U 9P; Gu had white and won by 1.5 points. Results in the other games were: Zhou Weiyang 9P (China) beat Shi Yue 9P (China) by resig. ; Chen Yaoye 9P (China) beat Pak Jung-hwan 9P (Korea) by resig. ; Kim Je-seok 9P (Korea) (B) beat Mi Yuting 9P (China) by resig. Pairings in the semifinals, to be held on December 27, are: Gu vs. Kim and Zhou vs. Chen. China Leads In Nong Shim Cup: The second round of the Nong Shim Cup, held in Busan, Korea, was dominated by Wang Xi 9P of China, who won four games in a row, but both Korea and Japan have hung on, each getting one player into the final round. (Nov. 28) Wang Xi 9P (China) (B) beat Kang Tong-yun 9P (Korea) by resig. (Nov. 29) Wang beat Murakawa Daisuke 7P (Japan) by resig. (Nov. 30) Wang beat An Song-jun 5P (Korea) resig. (Dec. 1) Wang (B) beat Kono Rin 9P (Japan) by resig. (Dec. 2) Pak Jung-hwan 9P (Korea) beat Wang by resig. (Dec. 3) Iyama Yuta 9P (Japan) (B) beat Pak by resig. 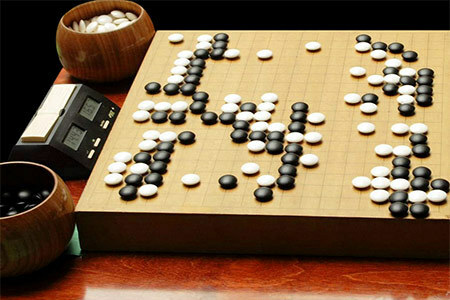 Gu Wins Japan-China Ryusei Play-Off: In the inaugural Japan-China Ryusei Play-off, Go Li 9P of China showed that he had recovered from his loss in his jubango (ten-game match) with Lee Se-tol by defeating Kono Rin 9P of Japan. Taking black, Gu won by resignation. The game was played on December 6. Murakawa Takes Oza from Iyama: The second and third games of the 62nd Oza title match were played at the Westin Miyako Hotel Kyoto on November 18 and 20. Having just one rest day between games feels in go terms almost like a doubleheader in baseball. In Game Two, the challenger Murakawa Daisuke 7P beat Iyama by 1.5 points playing black. The game was close, but Iyama made an attack that was a little over-aggressive. Murakawa erased potential white territory while settling his group and took the lead. The game later became close because of some slack play by Murakawa in the endgame. In Game Three the titleholder Iyama Yuta pulled off an upset victory by 2.5 points. Murakawa had secured a slight edge with skillful play in a centre fight, but he let himself down with a couple of slack moves later. Once the game turned in his favor, Iyama gave his opponent no chance to stage another upset. Game Four was played at the Sendai Royal Park Hotel in Sendai City, Miyagi Prefecture, on December 8. Playing black, Murakawa seized the initiative in the opening and this time managed to hang on to it, despite a difficult middle game. At 24, Murakawa is one year younger than Iyama. The two are good friends and often meet in the same study groups. It’s easy to imagine Murakawa’s feelings as he witnessed the extraordinary success of his friend over recent years. 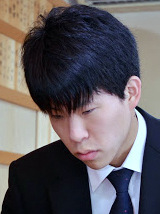 At the same time, Iyama was a good target to aim at, of course, but Murakawa confessed that it was a little disturbing to see an even younger player in Ida Atsushi (aged 20) emerge in this year’s Honinbo title match as the first younger challenger to Iyama. The flow of the match, as described above, shows that Murakawa’s win was not a fluke. His goal now is to do better in international tournaments. Our special reporter from Korea has spotted another strange elephant. Prepare yourself and add this tricky joseki to your arsenal for the new year. Eight top US go players will gather just outside Boston next week to determine the next US professional. Play in the 3rd AGA Pro Qualification Finals starts on Sunday, January 4 and ends on January 10. The games will be broadcast live on KGS from the Nantasket Beach Resort by the E-Journal; morning rounds will begin at 9:30 AM and afternoon rounds will begin at 4:30 PM. The players are Eric Lui 7d, Ryan Li 7d, Yuan Zhou 7d, Jeremy Chiu 6d, Daniel Gourdeau 7d, Ricky Zhao 7d, Ben Lockhart 7d, and Matthew Burrall 6d. The tournament will be played in two parts, a Round Robin Prelim Sunday through Wednesday, followed by the Championship Thursday and Friday. Jeff Shaevel is the Tournament Director, AGA President Andy Okun will be on hand and Chris Garlock and Andrew Jackson will head up the EJ recording team. 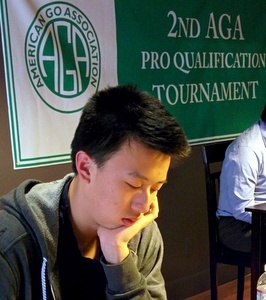 photo: Calvin Sun, winner of the 2nd AGA pro tourney in January 2013; photo by Dennis Wheeler. Previous EJ reports include Go Art: “The Hedgehog” Now Available Online (11/28/2012 EJ) and Your Move/Readers Write: The Elegant Hedgehog Pops Up Again (9/1/2012). 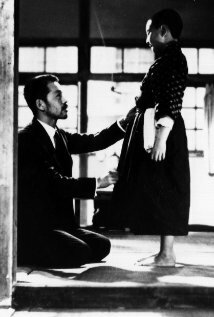 ’42 Ozu Film: In the 1942 movie There Was a Father (“Chichi ariki”), directed by Ozu Yasujiro, “There are views of a go parlor at minute 35, then further mention of the game later,” reports Bob Barber. For more about go on film, check out the European Go Federation’s Go Filmography. Ichiriki Wins Ibero-Japan Cup: This is a new tournament founded to encourage young players. It is open to players under 18, including inseis (professional trainees), and games are played on the Net. In the final, played on November 11, Ichiriki Ryo 7P (right), taking white, beat Kyo Kagen 2P by 6.5 points. Yamashita Repeats as Kisei Challenger: The play-off to decide the challenger for the 39th Kisei title was held at the Nihon Ki-in in Tokyo on November 13. It featured the same players as the previous year, Yamashita Keigo 9P and Murakawa Daisuke 7P, and had the same result: a win for Yamashita. Taking black, Yamashita won by resignation. Yamashita’s previous challenge was rebuffed 4-2 by Iyama, but Yamashita has an affinity for this title: he has won it five times in all, including a run of four terms in a row, and has played in the title match eight times. Aged 36, he will soon qualify as a “veteran,” so he will be hoping to do better this time. The first game will be played in Osaka on January 15 and 16. Kanazawa Wins Third Meijin Seat: Winning a seat in a league earns you an automatic promotion to 7-dan if you have not already made it. There has been a rash of such promotions in the last year or two (Yo Seiki, Ida Atsushi, Ichiriki Ryo), and now Kanazawa Makoto has joined them. The 4-dan beat O Meien 9P in the final round to win a seat in the 40th Meijin League. The game was played on November 13; taking white, Kanazawa won by 1.5 points. His promotion to 7-dan came the following day. The 22-year-old Kanazawa won the 37th King of the New Stars title in 2012. He looked a little disappointed when he realized he would no longer be able to play in this title or in the Hiroshima Aluminium Cup, both of which are restricted to players under 7-dan. Incidentally, Kanazawa’s father is Kanazawa Moriei, a former top amateur player who is a go writer for the Mainichi Newspaper. Motoki Wins Hiroshima Aluminium Cup: The Hiroshima Aluminium Cup: Young Carp Tournament is a two-day knock-out tournament for Nihon Ki-in players 30 or under and 6-dan or under. The 9th cup was played at the Central Japan Newspaper Building in Hiroshima City on November 15 and 16. In the final, Motoki Katsuya 3P (aged 19) beat Mutsuura Yuta 1P (aged 15) by 2.5 points to win his first title. Fujisawa Rina made it to the semifinals but lost to Motoki. The North American Kyu Championships (NAKC) returns this year, and will be held on KGS, on Saturday Feb. 7th. The NAKC will welcome kids who live in both Canada and Mexico to compete with their counterparts in the US. Dan level players will be able to compete in the Redmond Cup (including players from Canada and Mexico). Youth who compete in either event will also be eligible for $400 scholarships to the AGA Go Camp, or $200 scholarships to the US Go Congress, courtesy of the AGF, on a first come first served basis. Brackets in the NAKC will be divided by rank, with a new bracket formed approximately every 5 ranks or so depending on the range of participants. Within brackets, all games will be played even. Depending on the number of entrants in a given bracket, there will be either 3 or 4 rounds. There will be a trophy for the best Junior player (under 13) and the best Senior (under 18) in each bracket. Jr. and Sr. level youth will compete together. Registration is now open for the NAKC, and more information can be found on the AGA webpage for youth events. The deadline for the NAKC is Feb. 3rd. to register, click here. –Story and Photo by Paul Barchilon, E-J Youth Editor. Photo: Kyu players competing at the US Go Congress in NYC.